This week in our series, Doug Johnson and Shirley Griffith discuss the presidential election of nineteen twenty and the man who won, Warren Harding. DOUG JOHNSON: The presidential election of nineteen twenty was a turning point in American politics. It ended a period of social reforms at home and an active foreign policy. 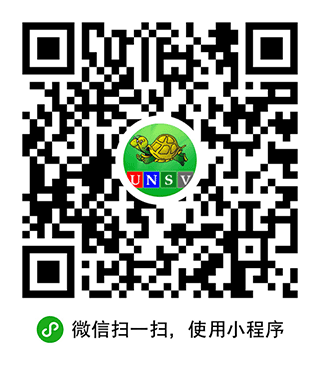 It began a period of conservative thinking in both the political and social life of the nation. SHIRLEY GRIFFITH: President Woodrow Wilson had suffered a stroke during his second term. He was very sick. No one expected him to be a candidate again. Yet he refused to announce that he would not run for a third term. DOUG JOHNSON: The leaders of President Wilson's Democratic Party understood the feelings of the people. They knew they had little chance of winning the presidential election if they nominated a candidate of change. SHIRLEY GRIFFITH: Warren Harding had owned a newspaper in Ohio. People advised him to enter politics, because he was such a good public speaker. During the campaign, he promised lower taxes, less immigration, and more aid to farmers. He called for "normalcy" -- a new period of peace and quiet, with few changes. That is what the voters wanted to hear in nineteen twenty. 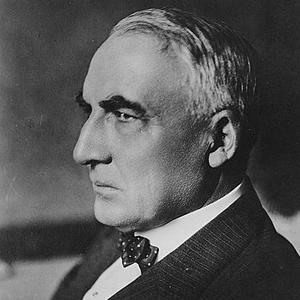 Warren Harding won the election with sixty-eight percent of the popular vote. In his first act as president, he invited people to visit the White House. He permitted them to walk in the garden. The act was a sign. The government seemed to be returning to the people. DOUG JOHNSON: Warren Harding is remembered mostly for two events. One was a successful international conference. The other was a shameful national incident. 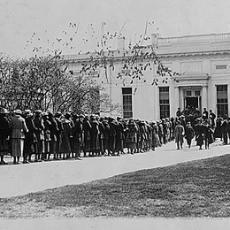 SHIRLEY GRIFFITH: The conference was held in Washington in November, nineteen twenty-one. President Harding invited representatives from the major naval powers of the time: Britain, Japan, France, and Italy. He also invited representatives from countries with interests in Asia: China, Portugal, Belgium and the Netherlands. He did not invite the new Soviet leaders in Russia. DOUG JOHNSON: Delegates to the conference debated the plan for three months. Japan demanded, and won, the right to have more ships. But the final agreement was very close to the one proposed by Secretary Hughes. SHIRLEY GRIFFITH: The second thing for which President Harding is remembered is the Teapot Dome scandal. It involved the misuse of underground oil owned by the federal government. DOUG JOHNSON: President Harding appointed several men of great ability to his cabinet. They included Secretary of State Charles Evans Hughes, Treasury Secretary Andrew Mellon, and Commerce Secretary Herbert Hoover. However, some of his appointments were dishonest men. One was Interior Secretary Albert Fall. He was responsible for the Teapot Dome scandal. SHIRLEY GRIFFITH: Albert Fall opposed the policy when he was a member of the Senate. When he became Interior Secretary, his department took control of the lands containing the underground oil. Then he permitted private companies to use the land for a period of time. During that time, the companies could take out the oil. The Senate investigation led to several court cases which lasted throughout the nineteen twenties. Secretary Fall was found guilty of misusing his government position. He was sentenced to prison for one year. DOUG JOHNSON: President Harding did not live to see the end of the Teapot Dome incident. In the summer of nineteen twenty-three, he made a political trip to Alaska and western states. On the way home, he became sick while in San Francisco. He died of a heart attack. STEVE EMBER: Our program was written by David Jarmul. The narrators were Doug Johnson and Shirley Griffith. You can find our series online with transcripts, MP3s, podcasts and historical images at www.unsv.com. You can also follow us on Facebook and Twitter at VOA Learning English. Join us again next week for THE MAKING OF A NATION -- an American history series in VOA Special English.